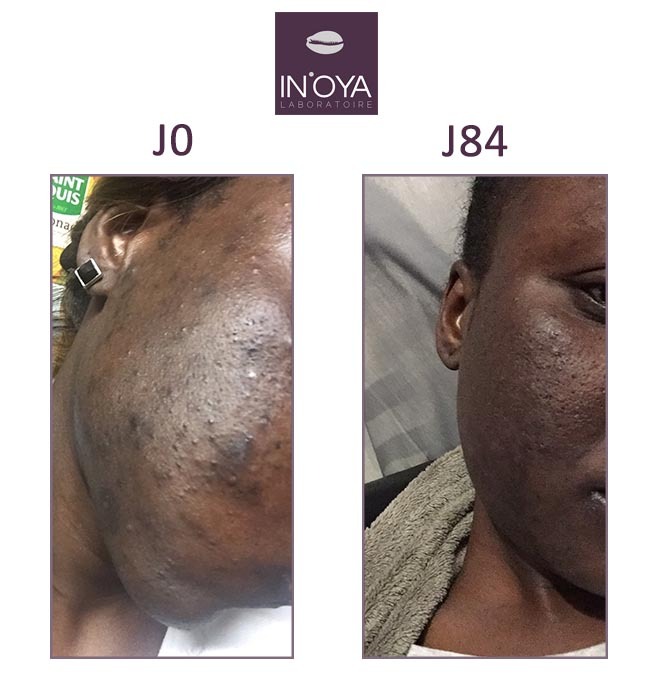 OYA Blog > Testimonials > Elphine: "I am satisfied with my treatment"
Elphine: "I am satisfied with my treatment"
Elphine: "Before knowing the brand IN'OYA, I tested many other alternatives and spent a lot of money. I have a combination of black and oily skin with pimples, to find a solution I have invested in many face care products, I have been to see dermatologists, I have also seen an allergist, I have done some took blood and taken antibiotics, nothing to do, I still had the same problems! 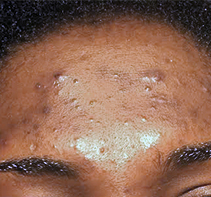 I was a slave to her pimples and spots. 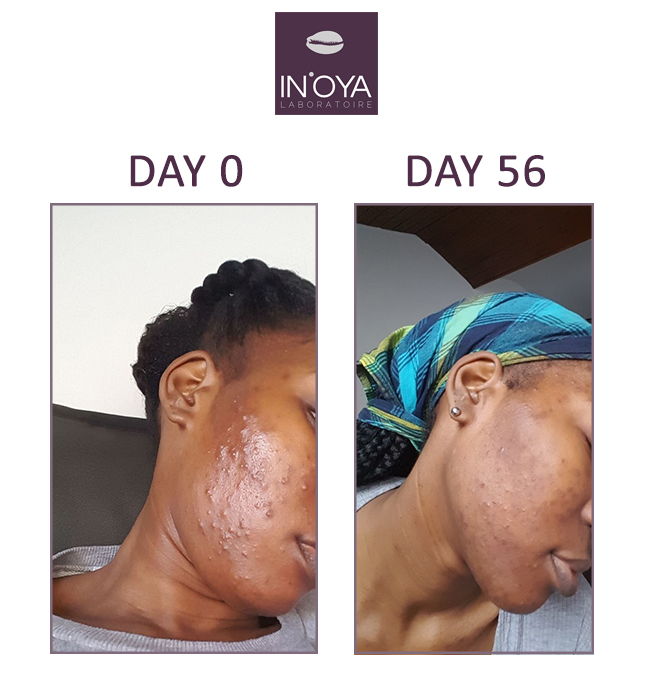 After all that, I decided to focus on brands for black skin, IN'OYA attracted attention and I decided to give it a chance. First I started using the Anti-Spot Serum and Targeted Corrector, then one day I was at an animation in a pharmacy, I was advised Matifying unifying care, the solar fluid, the cleansing foam and the Anti-imperfections care. Every day I looked at my face, I was too impatient and I started being demotivated. Thanks to the follow-up of the customer service, which accompanied me all the time on the telephone with good advices I took again the motivation and today I am satisfied with my treatment. I still have a few small pimples but the spots are almost completely gone. I am delighted with this brand."